Stampin’ Up! Inspiration Saturday…and a giveaway! The Paisleys & Posies Specialty Designer Series Paper is just asking to be framed for some DIY art work! I found these 3” x 3” frames at my local dollar store (what a score!). I trimmed the cardstock to 3” x 3” and placed it in the frame in front of the glass (that way you can always use it as a picture frame in the future if you desire). I found that the Flourish Thinlits Dies paired perfectly with the Paisleys Framelits Dies. I like how the leaves add to the autumn vision that I had. I took this same design and turned it into a card for Thanksgiving. For the next card, I fussy cut the Paisleys & Posies Specialty Designer Series Paper for the background of my collage. The copper strip & branch and the Night of Navy medallion come from the Flourish Thinlits. The Very Vanilla flower was cut with the Paisley Framelit dies. I swirled some Metallic Black Thread in the mix and finished with the “I thank you” stamp from the Paisleys & Posies Stamp Set. Finally, this last card uses the Petals & Paisleys suite to create a card that is creamy and soft. The background cardstock is a specialty sheet from the Petals & Paisleys pack (each pack has two specialty sheets that are a copper embossed pattern). I loved the clean look of this sheet and wanted to do some watercoloring with it. I cut a piece of Watercolor Paper to 2-1/2” 2-3/4” and did a watercolor wash with Mint Macaron for the background. Here is how I created the leaves – On a separate piece of Watercolor Paper, do the same watercolor wash with Mint Macaron. Allow to dry (or use your Heat Tool to dry), and run through the Big Shot with the Flourish Thinlits. Trim the leaves from the branch. I used the Copper Foil Sheet (also from the Petals & Paisleys suite) to cut out the petal with the Paisley Framelits. This Copper Foil sheets my just be my favorite thing – ever!! Check out the new Stampin’ Up!© Holiday Catalogue to see the rest of the Petals & Paiselys suite along with all of the other great new products. You are going to love it! ~ Krista Frattin, Artisan, Stampin' Up! Thank you so much Krista for sharing your beautiful artwork and this versatile collection! We also agree that the copper sheet is stunning! Our sweet friends at Stampin' Up! would also love to share the Petals & Paisley bundle with one lucky SCT reader! For an opportunity to win please leave a comment below by September 30th! Good luck. Thank you for joining us today for Stampin' Up! Inspiration Saturday! We love that their team comes to share so many creative projects each month. Our next Stampin' Up! Inspiration Saturday will be October 8th so be sure to mark your calendar! Inspiration Saturday with Stampin’ Up! Partner Celebration spotlight: Stampin’ Up! I LOVE Stampin’ Up! products! The paisley set is a must add to my collection!! It goes great with that awesome copper paper. Perfect for fall cards. And paisley is perfect anytime of year. Super pretty projects, and the dies are so versatile! Love the designer series paper, and don’t own any of it, so would love to win…of course!! LOVE the paisley set, and those beautiful cards! Wow, what an awesome set! Krista really showed it’s versatility with her beautiful projects. Beautiful cards and great ideas for using all the products from Stampin’ Up! Love the Paisley series and the paper is absolutely gorgeous. Would love to win this fabulous, generous giveaway. Thank you for this chance. So many beautiful projects you can make this versatile set! I’m seriously loving those dies. 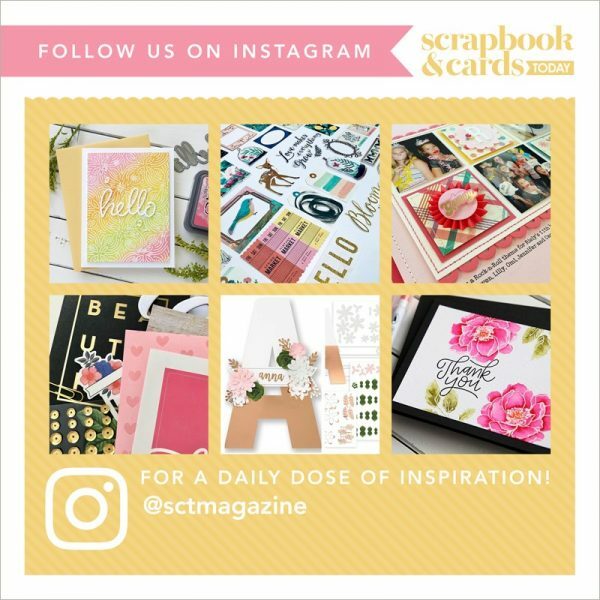 Thank you so much Scrapbook & Cards Today and Stampin’ Up for the chance to win it! I am really excited about this this is very different and I love it! WOW!! Petals and Paislees is a gorgeous collection of images!!! Would love to add this to my stash!!! Thanks Stampin’ Up and SCT for the chance to!!! Fingers crossed and have a great weekend!! Wow, the designs are so striking. I love SU and would be thrilled to win this fabulous prize! Thank you for the chance. Wonderful ideas from Stampin’ Up! & Krista. Great set. Stampin’ Up! is the best! And those project are really nice, but I love the card with the purple background the best. Love, love, love this suite of products! Would love to win these awesome products! but after seeing all of the examples – I want it! thanks for sharing some wonderful ideas. Beautiful projects. Love the paisley. Stampin up is my favorite product. Love the coordinating colors. Beautiful work. Love the copper paper with the paisley. Gorgeous cards. Love the pretty paisleys and the copper is way too cool. Thanks for sharing with us! Such beautiful projects! I love that pretty Paisleys & Posies set! Looks fabulous with that pretty copper color! I absolutely love those designs. So beautiful! Just a beautiful set. Such lovely designs.Just love all the beautiful samples shown and how pretty they look.LOVE the 3 framed pictures. Would love to make them. Oh wow, what a great giveaway! I love Stampin’ Ip products. Thanks for the chance. Oh they are to drool over and wish for. What lovely papers, stamps and die sets. Hot diggity Petals and Paisleys! Beautiful! Everything about this set and your cards is classy, especially the paper. Thanks for the chance to win! Stamping Up was the first company I bought products from way to many years ago to count, great prize! Lovely bundle. I can see the cards I’ll make already. Thanks for opportunity. Stamping Up keeps producing the unique! We are all Thankful, Grateful, BLESSED for it! Just got my catalog today, and have a list already. Thanks for the chance to win. Lovely work, love both of your blogs!. Wow! Beautiful set and amazing creations! Thanks for this great chance to win!!! I was unsure if I wanted this set but after seeing these samples, it is ON MY LIST! I would LOVE to win it. Thanks for the opportunity. I love this Paisley & Posie set. Stampin’ Up have beautiful products. Thank you for the opportunity to win. Amazing project ideas! Thanks Stampin Up!! The cards are amazing, of course! But I really love the frames! They would make such a fantastic gift for a Thanksgiving dinner hostess! The versatility of the stamps and dies, plus the beautiful cards that result, make me really want that set!! Oh my! I love Paisley patterns and its so nice to see such a fabulous set of dies full of them! You really outdid yourself! What great projects to show them off too. It would be so fun to create a background paper with all the interlocking curls and pieces for a scrapbook page! I’d so love to win this set! Especially love the Pink card. I would love to have this set! Such a pretty set!! Thanks SU!! I love this set, it’s on my wish list! Love love love the paisleys! Absolutely love this paper and paisley set! Beautiful projects done with all of these new products! This was a very fun post! Gorgeous projects. Love the paisley design and the coffer accents add to the beauty. Thanks! I saw this set in the new holiday catalogue and it looks like such fun to play with! You’ve made some fabulous projects and it’s quite a versatile set isn’t it! Those die cuts could be used for ghosts for halloween too! I’m not fond of paisley, but I love the color combination and I love the dies! Such beautiful artwork by Krista!! Wowzers!! I especially love the 3×3 frames and what she did with them. I love it when we turn scrapbooking into home decor. Gorgeous products by Stampin’ Up. I’ve always loved their stamps and punches. Thank you for the generous giveaway!! This set is gorgeous! I would love to win it. Thanks for the opportunity. Thanks for a chance to win this great prize. I LOVE this set!!! Thank you for sharing! Paisley makes me think of the mother who quilted with paisley patterns frequently. I soooo love Stampin’ Up products and there is no exception to this paisley set along with copper foil sheets! SU was the start of my stampin’ days and I still use many, many of their products to this day! I would be thrilled to be the lucky winner of this set. Fingers and toes crossed. Thanks for sharing the wonderful projects-cards, tag and frame! Awesome!!! Wow never thought of using these papers for picture backings like that- great idea. Love love love this stamp and die set so retro yet so stylish. Love all your projects. Stampin Up is where I started making cards. Love thisnew collection. Thanks for the giveaway! I love Stampin’ Up products and the paisleys are just gorgeous. I love all the new stamps and dies, papers and extras in the holiday catalog! Great prize! Beautiful cards and the stamp and dies look like so much fun. Beautiful, unique and wonderful all the way around!! My demonstrator just sent me this new catalogue. I loved the Paisley dies and the foil on the papers. Would love this prize package as my budget doesn’t allow for craft spending at the moment. What beautiful projects! I especially love the framed art pieces! Thanks for giving me the chance to win some Stampin Up goodies of my own! what a beautiful set! Just got my hands on the SU Christmas catalog today and immediately flagged this item. The Paisleys and Posies are beautiful! thanks for sharing with us! What a beautiful set. The copper paper is amazing….gorgeous! Krista is so talented….great job! Thanks for the chance to win. Great set of stamps and dies, especially loving those intricate dies! I love these. Stampin up is such a great company! This is a great set! I love StampinUp! What fabulous projects! Thanks for the chance! Love the collection! Great inspiration too! This is a gorgeous set of dies! Love her projects! I have been a fan of paisley since the 80’s (showing my age here) when they were soooo popular and to me they NEVER went out of style. Just love them! Thanks Stamping Up for another beautiful product! Wow! Love the Paisley patterns and dies! I saw the Holiday Catalog and this paisley set really stood out for me! I would love t o win. Gorgeous projects! What a beautiful collection! Thanks for a chance! Paisleys and Posies dies and stamps are a wonderful and versatile way to be creative and still look like freeform! 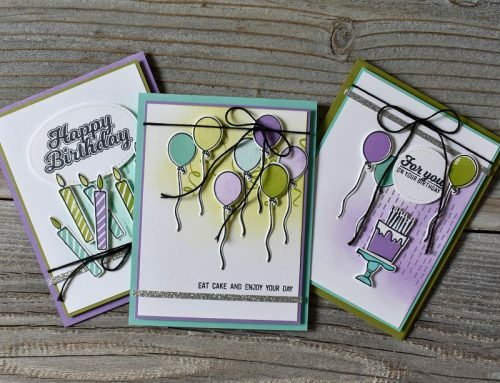 So many great ways to create so many different cards from a great selection of dies. The Petals and Paisley will be a great collection to win. It is good to see that Paisleys are making such a soft, and beautiful, come back! I just received the Holiday Stampin’ Up Catalog and it is chock full of very pretty Projects (for Fall, Christmas, and the Winter Season). I am so impressed that I open it, look at another Project, and then go back to my Kitchen Chores. Thank you for the lovely introduction to Petals and Paisleys. I bet this Set (and the Paper) will sell like Hot Cakes! oh I am really liking that paisley set. Thank you for the awesome chance! Love Stamping Up! Fabulous projects and wonderful prize! Thanks for sharing! Love this set, great inspiration projects to convince me that I need it!! Love every aspect of this set. It would be a wonderful prize to win and so much fun to use. Thank you SCT and Stampin’ Up. Beautiful give away. Thank you so much. Would like be to win this prizes. Gorgeous projects! Love the intricacy of those dies. Thanks for the chance! Love the Stampin’ Up paisley designs! Absolutely love this paisley set! I love paisley stuff in general but this set has so many versatile options to create with! It’s fantastic! Love Stampin Up. What a great giveaway!! Great cards using this set. Didn’t realize the uses for this set at first. 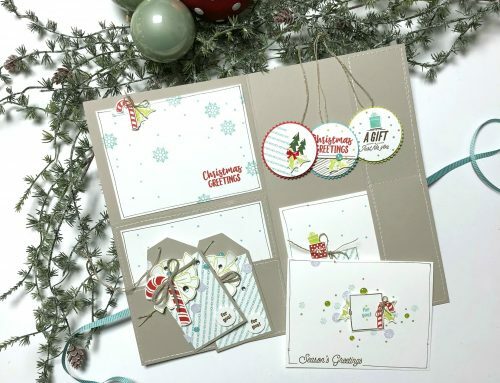 I have just discovered Stampin’ Up and would love this set for my own. Stampin’ Up! had the greatest products. Thank you for giving us a chance to win some of their new products. I love SUM This is an amazing prizeM Thanks so much for the chance! Nice set with so many uses! I love these great ideas and DIY projects! I recently go to know the company Stampin’ Up and it will be great if i can try their products! Thank you for the opportunity to win. Love your frame project, super cute! Oh my, memories of my teenage years whe. I wore Paisley dresses . I also love the leaves that remind me of Orla Keileys work. ? Love your cards made with this great set! Thanks for the chance to win! I remember when we used to wear paisley. Boy, that was some time ago! Too beautiful for words! Looks like a timeless classic set. Incredible update on a classic icon such as paisley. Crafters can always rely on Stampin Up to be front runners in trends and techniques in this marvelous art form. Cheers! Love, love, love the frame idea and all of the beautiful cards! What a beautiful collection! I love the details on the stamps! Love your products. Thanks for the contest. I have always loved paisleys. Love this Stampin’ Up set! What a lovely collection. Love those example cards! My favourite are the delicate little leaves! Just so beautiful! Paisleys are my absolute favourite pattern. Paisley is all over my house. When I saw this new collection I knew I had to have it. Love the projects you did with this Stampin’ Up set. This set is beautiful and would make a great addiction to my collection. Love these dies. Just fabulous. Beautiful cards. These cards are just BEAUTIFUL! And this SU set is just awesome. Beautiful card! This looks like a great set. Awesome dies. 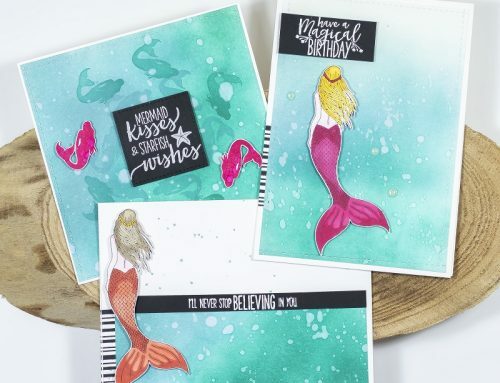 Stampin’ Up did it again – another set on my wish list. Great projects. I love this stamp and die set. You can create a lot with this set! Love the frames and all the cards….different techniques I’ve never thought of before. What a fabulous giveaway from Stampin Up! The “Petals & Paisley” sample projects are so pretty!! Especially the love the paisleys and copper paper. Thanks for the chance to win! I love the framed pictures and the cards–I would love to have the Petals and Paisley set! Thanks Stampin’ Up for the chance to win! Beautiful!! Love Stampin Up products, can do sooo much with them. Thank you for the chance to win!! Gorgeous cards! I love SU! products, and these dies are awesome! These stamps and dies are gorgeous..reminds me of Indian mendhi designs. What a lovely set. Thank you for the chance to win! Thank you SCT and Stampin- UP for this super great give a way . I love the Petals and Paisley stamps set and all the cards and designs the team has made. I would love to win this set. thank you. OMG! This has got to be thmost amazing set yet!!! I absolutely love it. And your examples are awesome! A beautiful collection indeed.Theirs just something about Paisley’s. Thank you for sharing beauty INSPIRATION. haven’t used Stampin Up! products in so long – love this set, it looks so versatile! I am a Paisley girl!!!!!!!!!! I love Stampin Up. What a beautiful prize! Beautiful cards. Love the die set and the papers. Perfect colors that I like. Thanks for the chance to win. Beautiful. Love the cards and those dies! Wow! Your cards and framed art are gorgeous! I would love to win this bundle! It would be fun to play with some new SU products! Thanks for the chance! Pretty DSP and fabulous product suite. I love this set! Thanks Stampin’ Up for the giveaway! Stampin Up is my favorite source for the perfect stamp for any occasion. This Paisey and Posies set is one I have to have! I love the framelits that go with it! Thank you for offering this great set! Please pick me! These projects are classy and beautiful, and showcase this versatile bundle and paper to perfection. Am absolutely in love with the colour combinations in the paper collection. Thanks, Stampin Up and Scrapbook & Cards Today for the chance to win this bundle. I love Stampin’ Up products. This set looks like it’s going to make beautiful cards!! Thanks for the opportunity to win it. Paisley’s are so back in style. I see these everywhere. SU is just so trendy. Love this set. Thank you for the chance to win! This set is really beautiful! I love Stampin Up! Such an adorable paisley die set and papers!! Thank you Stampin UP for having such fabulous products! I love that set, what a fabulous prize. Thanks for the chance to win. Such beautiful inspiring project ideas and great giveaway! How adorable are these paisleys? I love Stampin’ Up. Their products are so much fun and the quality is always excellent. Wow ! Great giveaway,thanks for the chance to win! This is a gorgeous set! I love the copper paper too! WOW!!! Such beautiful cards…wonderful inspiration. What a fabulous stamp and die set….just totally amazing!!! The paisley patterns are awesome! pretty patterns and so versatile. thanks for the chance to win! Stampin’ Up! has such great products. I really like the sentiments of this stamp set. These are so beautiful! I would love to play with them! Love the colours in the patterned paper. Thanks for the opportunity. Very nice samples! Thanks for the chance to win. Using these products they will make lovely cards. I, too love the Stampin’Up collection. What a variety of specialty designer paper, photopolymer bundle, designer series paper and the copper foil sheet. I can’t decide which I love the best! Simply yet elegant cards ❤️? 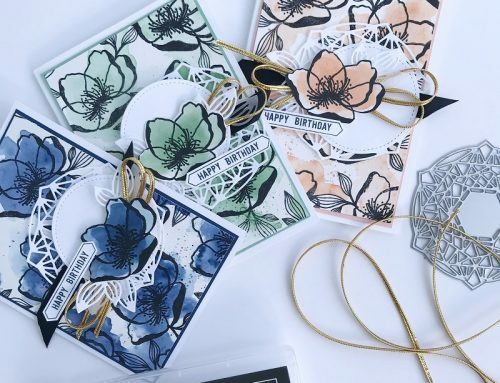 Stampin’ Up never disappoints — another beautiful collection of products that can be used so many ways as demonstrated in all the lovely creations here. Thanks for the chance to win this set!! I love seeing all the possibilities with the stamps, dies and paper! Very inspiring, thank you! Copper adds such an elegant touch! Wining this bundle would mean a great blessing to me, because it means a lot. Love it all! Stampin’ Up is great! Thanks for the opportunity! What a cute collection and fabulous cards! I love the chance to win it! Those are really cool creations! great stampin up items! Just love the Petals & Paisley. I see those patterns everywhere this fall. I love all the cards! So creative! Thank you for sharing with us! That’s a beautiful and versatile collection! Thanks for the opportunity to win. Love those paisley stamps and dies! Stampin’ Up! is always coming up with beautiful products! Great inspiration by Krista for this suite. Thank you for describing how you created the samples. Hope to win this prize. Thanks. Love love love Stampin Up and the paisley designs are beautiful! I love this Paisley set. It would be so perfect when I begin the wedding scrapbook for my son and daughter-in-law. Their wedding was Vintage Chic. So beautiful with homemade flags of various patterns strung in the ceiling. Lots of DIY projects but it was fun. I absolutely love SU and all their beautiful stamps and products! Beautiful projects! Thank you for the chance to win. I have already circled the many, many things I want from the Holiday Catalogue and this collection is definitely ear-marked!! 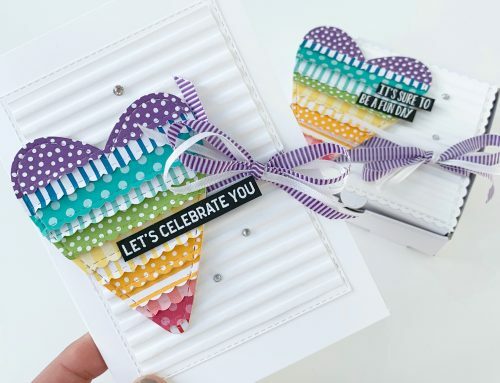 Great cards – love to see Krista’s work! Thanks so much for the chance to win! Great giveaway! I love the versatility of this bundle! I love Stampin Up and especially this bundle! What a great prize! Love the projects! Had not considered this set before now I do!! Gorgeous samples, Krista. I absolutely love the new copper foil cardstock. Love the pairing with Flourishing Thinlits. Brilliant! Thanks for the chance to win this fabulous prize!! Wonderful ideas on the cards especially adding in the metallic cut outs. Would be a great prize to win. I love paisley! Everything in this prize package is fantastic!! I love stampin up products and would just love to add this set to my collection. Really love these cards and would love to be able to make some myself. Stampin up is a wonderful company and thanks for the opportunity to win this great prize!! The paisley is my favourite suite. Would love to have it. Thanks. Paisley patterns are my favourite. This looks like an incredibly versatile set. So many ideas and uses. Love Paisley and a long time ago, used to wear it. Cute projects. Stampin Up has another winner with these petals and paisley die cuts. I love all their great products and would love a chance to win these. The cards are beautiful!! You did an amazing job with this set. So many beautiful ideas! Stampin’ Up is one of my favourite stamp companies! Thanks for the chance to win! The Petals & Paisley prize is so original. I haven’t seen anything like this before. The crafts open lots of ideas & I love them all. Those die-cuts are so intricate! Would love to try some SU!Love the gold foiled card! So, so pretty! This is a very cool set!!! Beautiful and varied projects, thank you for sharing. Paisleys are a favorite for me. I am itching to try to make the framed paisley heart shown in the Holiday catalogue! Just an amazing giveaway! I love Stamping Ups Products so much. Thanks for the chance to win.